2011 SUN ‘n FUN Fly-In was an ULTIMATE THRILL! Having attended NASA Space Shuttle Launches and NASCAR races I had no idea that the 2011 SUN ‘N FUN International Fly-In and Expo at the Linder Airport in Lakeland Florida would be an ULTIMATE THRILL! 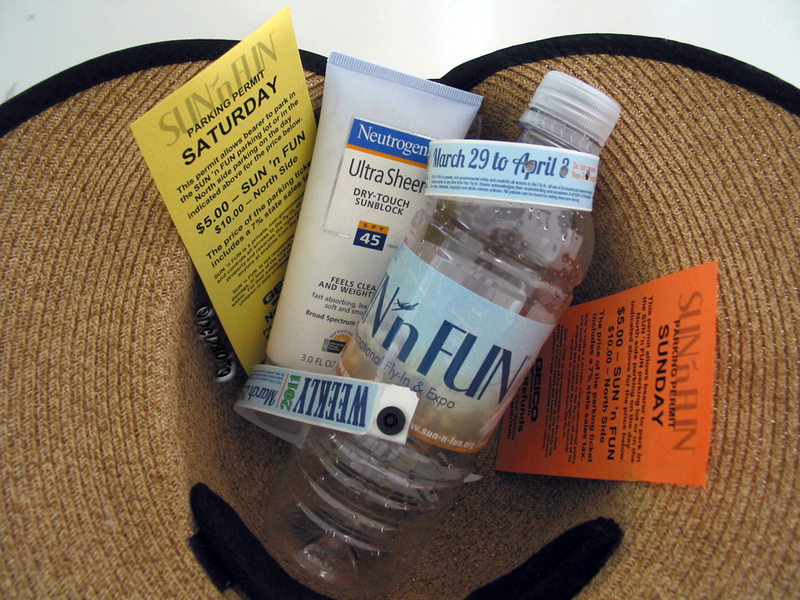 Featured here were the most important must have items for the event: Admission Wristbands, Parking Passes, Water (and lots of it), Hat and Sunscreen.